The UNESCO World Heritage city of Évora is often referred to as a “cidade-museu” or “museum city” and it is easy to understand why. Walking through the winding streets of its ancient-walled old town is like walking through a museum in itself, a journey through thousands of years of architectural, military and cultural history as you make your way past the St Francis Church with its eerie Chapel of Bones, Évora Cathedral, the ancient Roman Temple of Diana and the imposing sixteenth-century viaduct, one of the most impressive feats of engineering of its time. However, there are many cultural attractions besides, from old-school museums such as the Museu de Évora, or Évora Museum, to modern art spaces such as the Fundação Eugenio de Almeida. 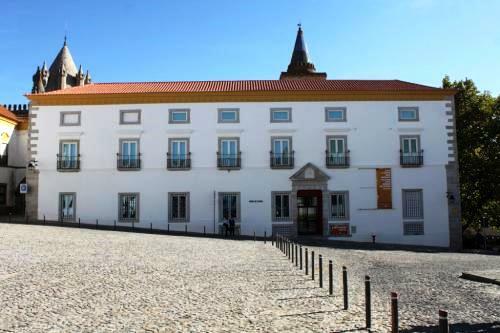 Start your discovery of Évora’s cultural attractions at the Évora Museum. 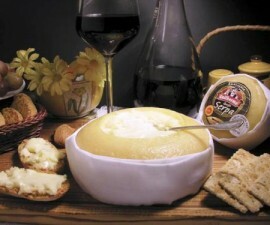 First established in 1915, it is located within the old Paço Episcopal, though its history stretches back still further. In 1804 the Archbishop of Évora, Friar Manuel do Cenaculo, inaugurated a public library, which also formed part of his art, archaeological and natural collections. It was transferred to the state in 1839, but it was not until after the declaration of Independence that it opened formally as a public museum. As the collection expanded, so the need to find a larger home for it grew and plans were made for it to move to the Palacio Amaral. When the Palacio Amaral was seriously damaged in 1926, it was finally installed in the Bishop’s Palace, opening once again in 1929 in its new and permanent home. The Évora Museum showcases around 20,000 pieces, including paintings, sculptures, and archaeological artifacts dating back to Roman and Gothic times and the period of the Moorish occupation. The pieces serve to tell the story of Portugal, and Évora itself, through the ages, from early days to the height of the empire and beyond. The exhibition as a whole is thoughtfully organised in a way that brings together various fields of knowledge as well as periods in History, to great effect. 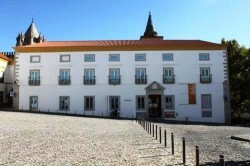 The avant-garde Fundação Eugenio de Almeida is a modern exhibition space close to Évora Cathedral. The Fundação Eugenio de Almeida plays host to ad hoc exhibitions by local artists, national artists of standing and the occasional big-name international such as Marcel Duchamp. 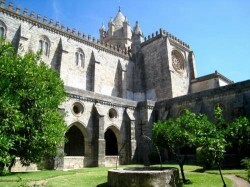 Most visitors to Évora will take the time to explore its imposing cathedral. Évora Cathedral is a majestic building that sits at the highest point of the city, presiding over the old walled citadel since it was built at the end of the fifteenth century. The grand façade of rose granite is offset dramatically by the two large towers that sit either side. It is in the South Tower that the Museum of Sacred Art is located. 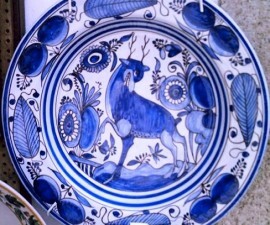 The Museum of Sacred Art is well worth a visit for anyone with an interest in ecclesiastical art and history. It is home to a wide collection of religious art and a large number of precious stones, numbering in excess of a thousand. From Évora Cathedral, make your way on to the Palacio Cadaval for an interesting mix of ecclesiastical art and antiques from old world Portugal. The Palacio Cadaval also provides an interesting window onto daily life in a bygone age and is home to a 600-square-metre collection of exquisitely crafted eighteen-century “azulejos”, or traditional tiles. For a little light relief from ancient history and artifacts, complete your cultural tour of Évora with a trip to the Aldeia da Terra. 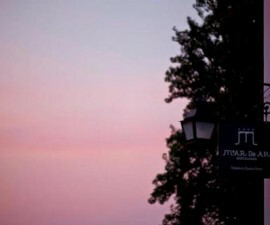 The Aldeia da Terra was the brainchild of two local sculptors, Tiago Cabeça and Magda Ventura. These two remarkable artists bring together the ancient Portuguese traditions of hand-painted ceramics with a delightfully modern and humours edge. 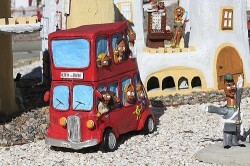 The Aldeia da Terra takes the form of an entire miniature village, mirroring the old town of Évora. It comes complete with miniature monuments, whitewashed and ochre sixteenth-century houses and modern-day cars, taxis, bicycles. The finishing flourish comes in the form of the ceramic figures going about their day-to-day lives, paying homage to the past and present of this delightful Portuguese city.